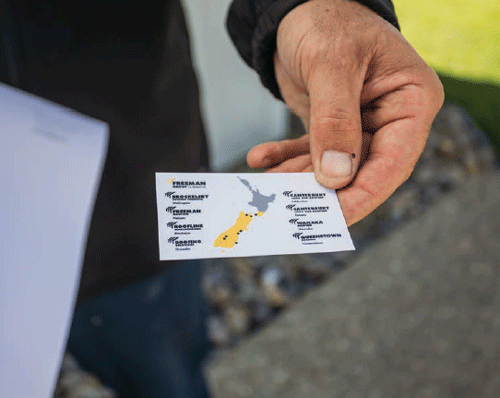 Marlborough, Queenstown and Wanaka are driving demand in the domestic construction sector, according to the Freeman Group, the largest independent manufacturer of quality NZ steel roofi ng, cladding and rainwater accessories in the South Island. Queenstown and Wanaka, along with Nelson and Marlborough, continue to drive strong demand in the domestic construction sector with these areas also South Island hotspots for new roofing and re-roofing projects. That’s according to Freeman Group, the largest independent manufacturer of quality NZ steel roofing, cladding and rainwater accessories in the South Island. Freeman is also a leading roof installer. “In the top of the South Island, there has been a large increase in residential building in particular,” says Dallas Spence, sales and marketing manager for Freeman Group. To meet demand in Central Otago, Freeman Group purchased two factories in Queenstown and Wanaka in October 2016 bringing its total number of factories to eight, (seven in the South Island and one in Wellington). New houses continue to get bigger – and that means bigger roofing requirements. Freeman Group reports that metal long run roofs remain a number one choice. Not far behind in terms of popularity is Five Rib roofing, favoured for its aesthetic profile and clean, straight lines. In the architectural non-spec home market, Freeman Group is noticing a growing appetite for European and American-style alpine tray roofing. Finding enough skilled labour remains an ongoing challenge for New Zealand’s roofing industry, though lobbying is ongoing from the big corporate sector to make it easier to bring in skilled overseas workers. “There is no other quick fix,” Dallas observes. Training young New Zealanders to fill the skills’ gap is the longer term solution and several companies are now offering specialist roof training schools or academies. “We’re involved in that as a group too as we have an apprenticeship programme for school aged young people that leads them into the world of roofing.” New Zealand’s Roofing Games were also held for the first time earlier this year. Open to all New Zealand’s long run metal roofers, the games were designed to be a fun training and competition session. Freeman Group was pleased to be involved in the event. Meanwhile, improvements in technology, roofing products and installation know-how continue to lift the overall standard of New Zealand roofing. A leaky old roof can be readily replaced with a new roof that looks great and keeps the home dry. Freeman Group offer no obligation free quotes on all re-roofing requirements.